a few weeks ago i decided that i was going to make a special stool for emma. i was visiting my friend shelby and she had a stool that had been given to her when she was a little girl. 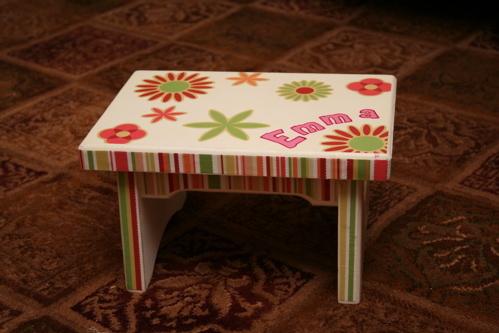 i hope that emma can treasure this stool that her mommy made her for years to come. 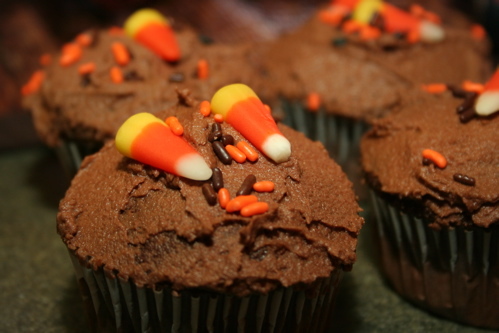 i made chocolate cupcakes from scratch for the first time on halloween! they turned out to be pretty yummy! 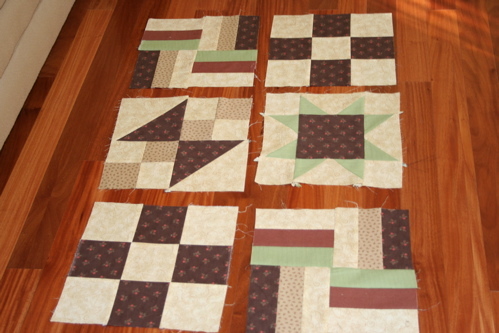 and finally, the squares for my quilt. don’t be fooled. these are NOT very good. the measurements are not exact, the seams don’t line up, but hey, its a pretty good try. i’m going to connect them and sew a border tomorrow. i’ll show the finished product soon. Previous Previous post: trick or treat.